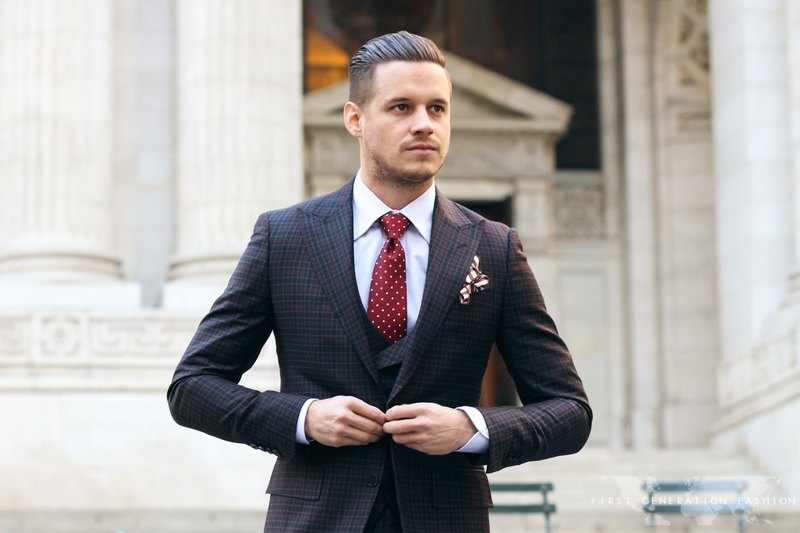 To make it in New York and the world of fashion requires a great deal of tenacity. Aleks Musika, the Co-Founder of Musika Frère is the type of guy who inherited more than just good looks and an eye for design to build a fashion empire. 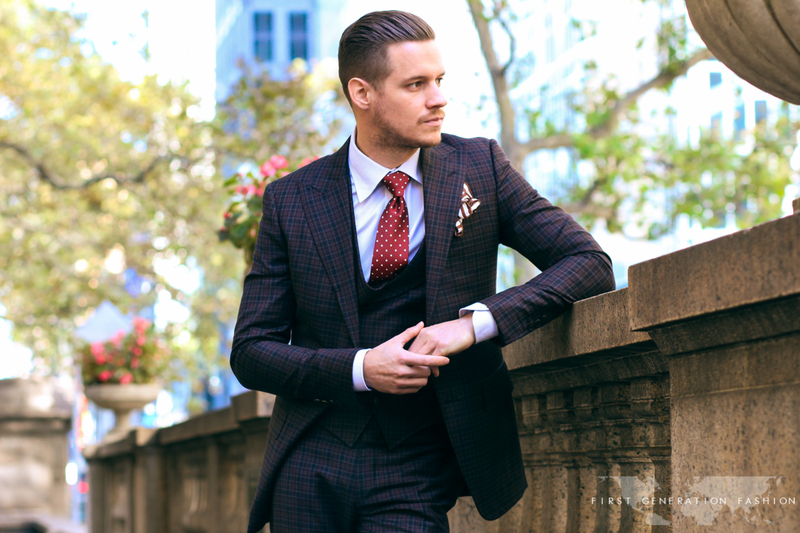 Although he’s arguably the best dressed man in today’s world, Aleks’ grit is what sets him apart. 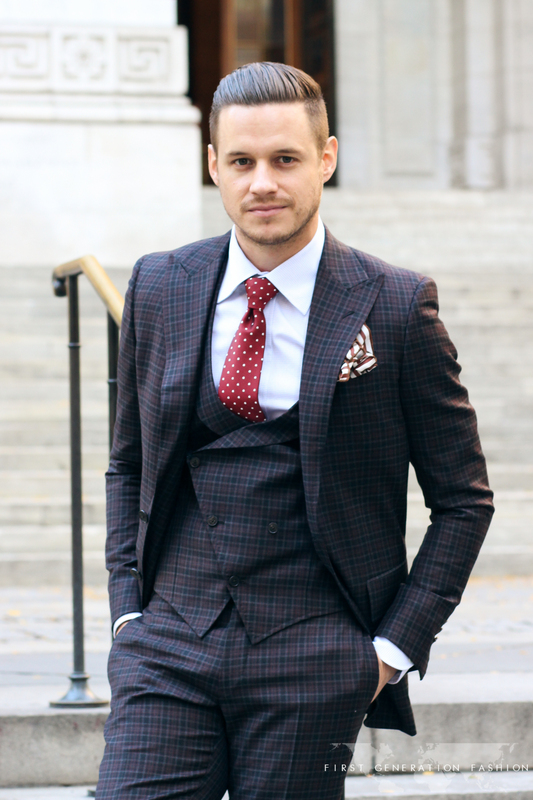 With a unique blend of persistence and certainty, Aleks transformed an Instagram blog into a rapidly-growing men’s wear label adored by all of the A-listers. My dad’s side of the family is from Russia and Poland. My dad’s father is is from Russia and my grandmother’s mother is Polish.They lived in Coatesville, PA which is near Philadelphia and worked at a steel mill. There there were a lot of Russian and Polish people living and working in that area but my mom’s side of the family is very American. Her ancestors have been here for generations. What are your memories of them? My grandfather used to work long hours on the steel mill with his Russian friends. When they weren’t working you would find them playing cards, smoking cigarettes, and drinking beer all together. At the time, working at the steel mill was a great job and an opportunity to make a lot of money. My uncle and dad, who were teachers, would also work there during the summer months and make more money in that time span that rest of the entire year. Do you still feel a connection to your roots? When my family gets together, that’s when all the stories from the past come out. We also still eat Russian food at home. I think that’s main thing that’s trickled down. I also feel a weird connection to Russian Architecture, a lot of old buildings inspire certain designs for me, they also have an amazing taste for luxurious accents “golds, reds, textures, velvets etc” which inspire me often when creating pieces. 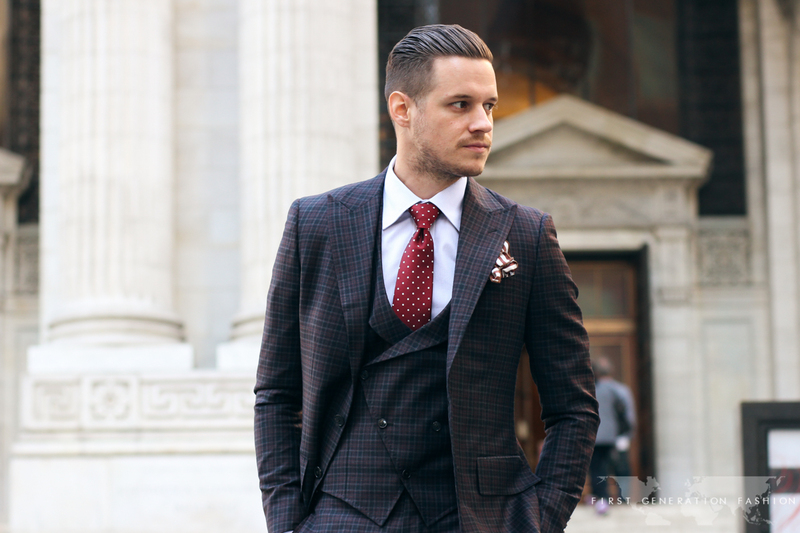 I moved to New York to start my label of luxury menswear with my business partner Davidson Frère, called Musika Frère. Before moving to New York, I lived in Miami where I worked for Tom Ford. I was always into fashion and that’s when I realized that this is definitely what I wanted to do. Tom Ford was the best mentor for me. While working there, I started a fashion blog on Instagram to entice people to work with me. It became really big, and I was able to meet my business partner via Instagram. He was from New York and although I really wanted to stay in Miami, I realized that the industry was in New York City. What was the most surprising thing about starting your own business? Being able to build a business off of Instagram. Five years ago, it wouldn’t have even been possible to do this. Since we started, our company has grown from 2 people to 8 people on staff. We do events all across the country and we have done three movies. (Entourage, Ride Along 2, and What Now (Kevin Hart’s new film that is still in production)). We just started working on a project for a TV series that is based in the 60’s. We’re designing the line with our fit while adding a twist of the trends from that time. When the show airs, the ready to wear collection inspired by the costumes will be available to our customers online. Musika Frère is known for making the most unique luxury men’s suits on the market, tell us about your process. I learned from Tom Ford how architecture is a huge part of the design process. 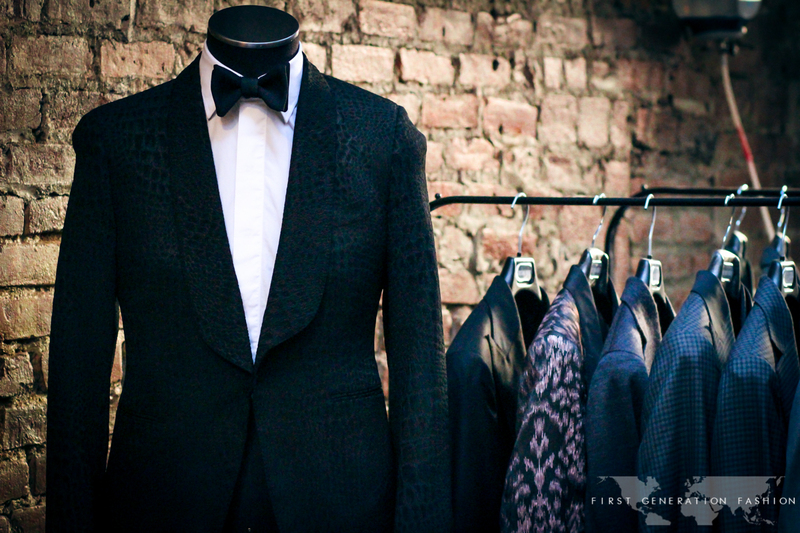 Architecture and the fit of the suit is the core of Musika Frère. When we began creating our own designs I started thinking in shapes instead of thinking in colors and fabrics. When my Instagram account was gaining a lot of traction Vanity Fair approached me about receiving the title as best dressed man in the world. I went and told my managers at Tom Ford about it, and they said that if I take the award I’ll get fired. The reason why I started the blog was to get noticed and legitimize the idea of Musika Frère. My style was very unique and I wanted to build my own brand. I decided to turn down the Vanity Fair title to keep my job. Four weeks later, the idea of Musika Frère started catching on. The Tom Ford team brought me in and said, “we know you have a brand”. In reality, all we had created at the time was a logo for Musika Frère. I was essentially just creating propaganda on my Instagram. I was getting the word out to test the market before jumping in. At that moment I had to walk away from Tom Ford. No — three days after I left my job we happened to get an investor. I had asked the team at Tom Ford about what else could I do for the company, and they said nothing. I had a great sales record but they didn’t want me to keep growing with them. I felt i had a lot to offer to the company and was given no incentive to share my ideas or grow with the company. They even asked me to delete the Instagram account. How did moving to New York influence the growth of the company? 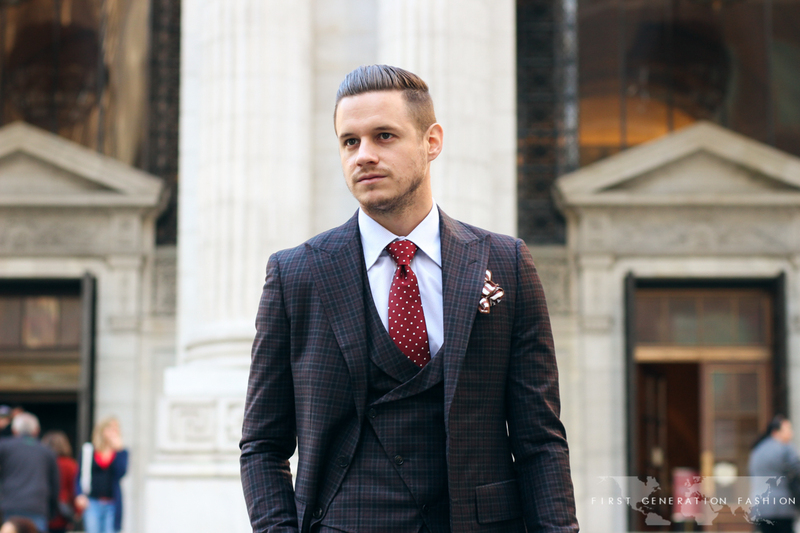 Men’s fashion is in New York City. It’s the best place for it and it’s also a platform for people to make things happen. If you want to start a business then this is where you have to be. In New York, the world is at your hands. 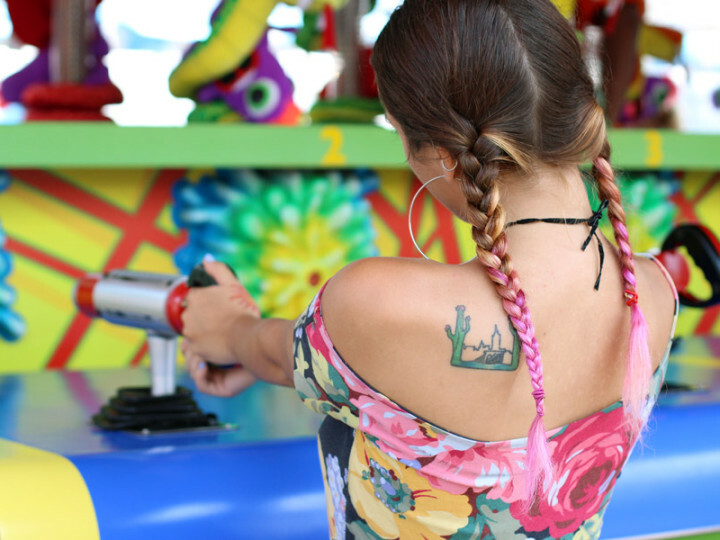 Now that you’re a New Yorker, where do you to spend your free time? I work a lot, so I don’t have as much time to explore. I like to go out to eat everywhere. There are a million great restaurants to go to and experiment with different kinds of cuisine. There were a lot of good things about Miami but I really like where I am. The only free time I have I want to spend is with the people that matter the most to me which is my girl friend and my family. They are the ones that drive me and have been with me through the rocky roads of being an entrepreneur. Do you feel that your roots have influenced your hard work ethic? My grandfathers were huge hustlers, always making deals and never sitting around. I think I get that from them. When you’re in New York where do you go for a taste of home? New York and Philadelphia are big on sandwiches. In New York, I can get a great sandwich anywhere. There was nowhere in Miami where I could find a good hoagie, but in New York I can find a good hero. Unfortunately, I can’t find anything here for my Philly WaWa fix. Since you mostly wear Musika Frère these days, what other brands do you enjoy accessorizing with? I don’t know why, but I’ve been wearing Vans for the past 20 years. I’ll buy about 30 pairs of new white vans a year. They’re simple and I love the shape of them, they work with everything. If someone asked me if I would prefer a new pair of YSL, Givenchy, or Common Projects plain white sneakers or white Vans, I would choose Vans every time. 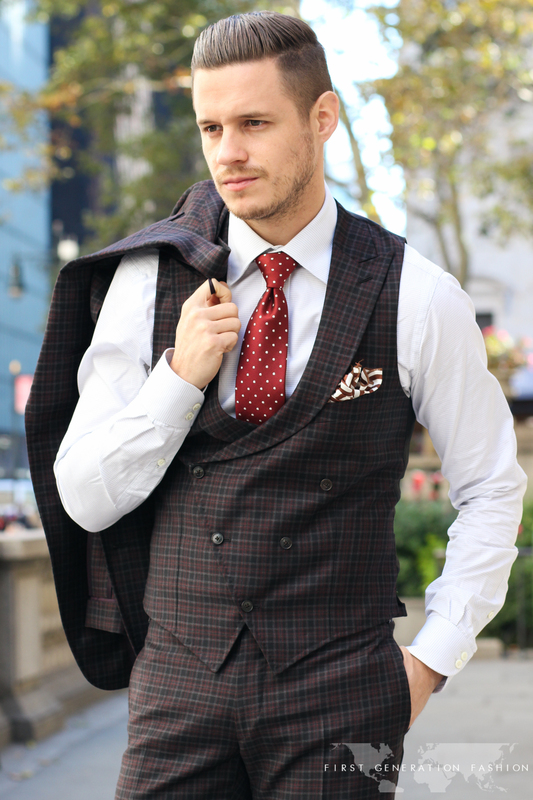 What are some fashion tips to men who want to dress well like you do? Form a good relationship with a tailor. 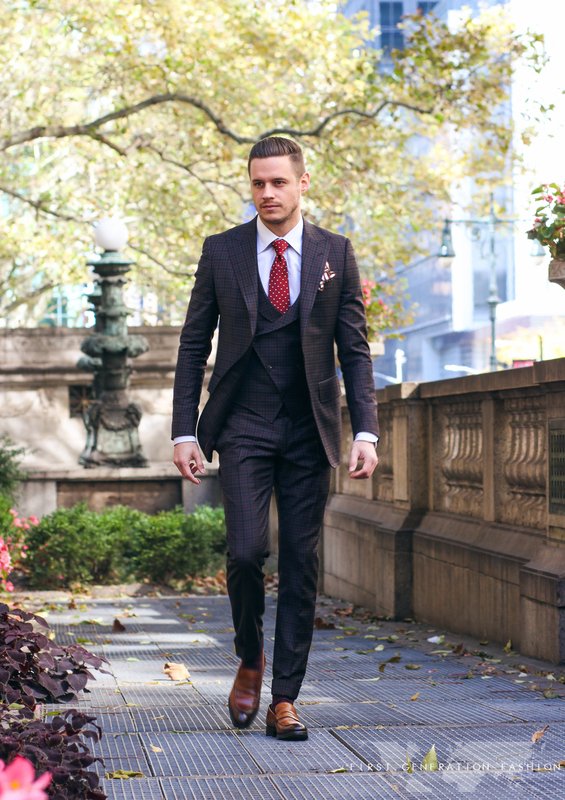 What makes a good tailor? One that will listen to you. A lot of tailors are stubborn in their ways. 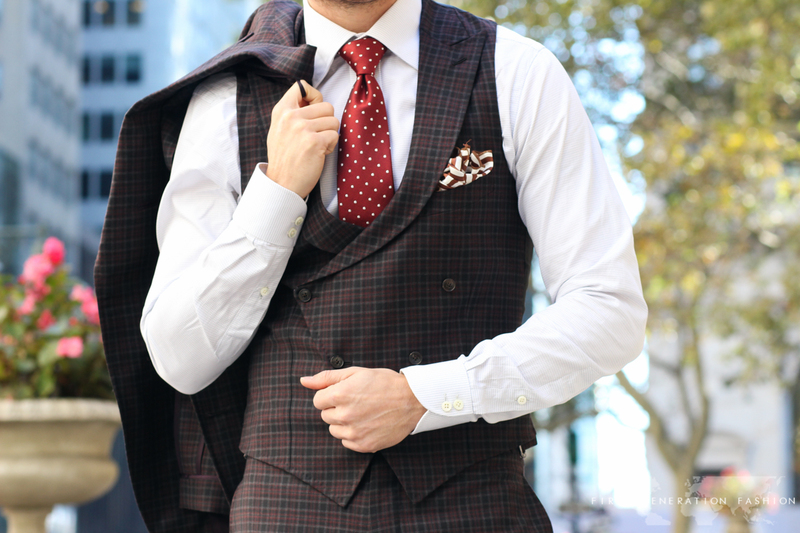 Bring a picture to the tailor of something you like, and don’t be afraid to ask them to make something similar. A good tailor will listen to you. How important is the fit? I didn’t have a lot of money when I started. 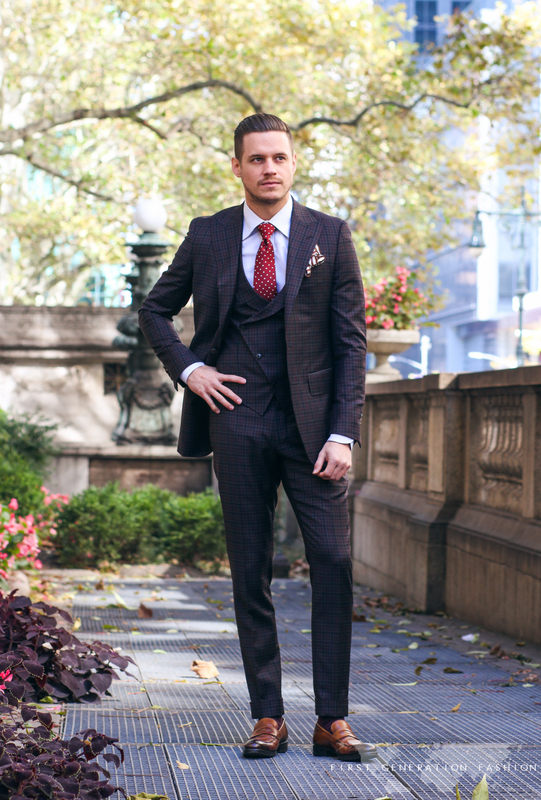 I would take old things like suits from family members’ closets and have them tailored to my fit. People would approach me all the time asking questions about my clothes because the fit made it look so good. What are some things to think about when trying to emulate the Aleks Musika look for the first time? It has to have texture. 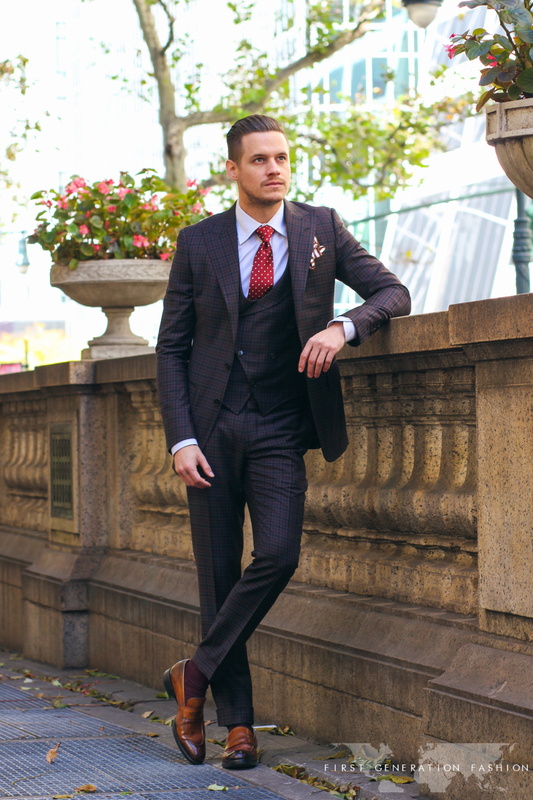 You want a suit with texture so you can wear it casually as well. 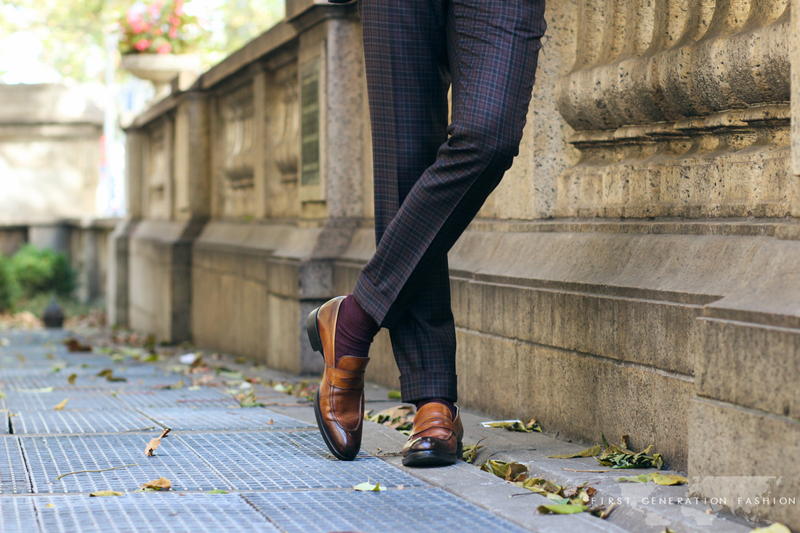 It’s also easy to dress up casuals with the right tie and shoe. I’m a fan of textures on everything. Texture changes are a big thing too and you can mix patterns. You have to always be aware of the size of the patterns. You can wear a small polka-dot shirt with a large plaid jacket because the contrasting size of the patterns work. 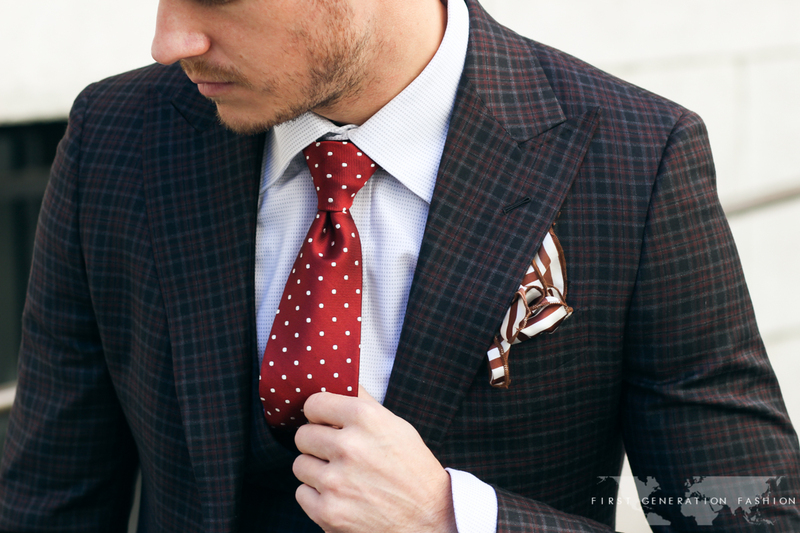 And add a nice textured tie. Two medium-sized patterns used together won’t work. 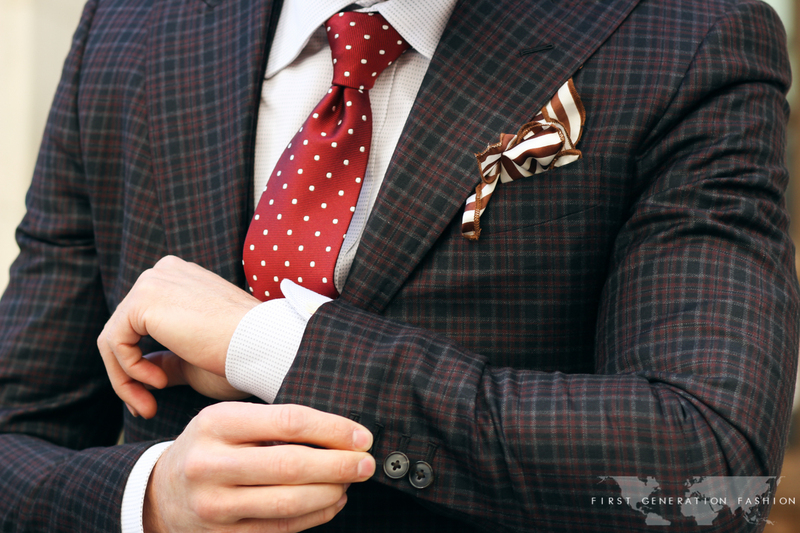 People say that they don’t know how to wear all the patterns that I wear but they can use that rule as a guideline. What’s the main way that you like to consume fashion? Instagram, it’s visual so it’s good for people who don’t have a lot of free time. When it comes to fashion, women lead the way I think that all men’s fashion feeds off of women’s fashion so I don’t look at men’s fashion because I don’t get inspired. On Instagram, I always look at women’s fashion for inspiration. A lot of architecture inspires me so buildings and shapes influence our designs. I can look at a building and see a perfect shape or color for a new design. Any specific people or Instagram accounts? I recently got into following Micah Gianelli; she has great style. What do you think defines Musika Frère? New York is what we’re about. People will ask, is our style English or is it Italian? It’s neither. 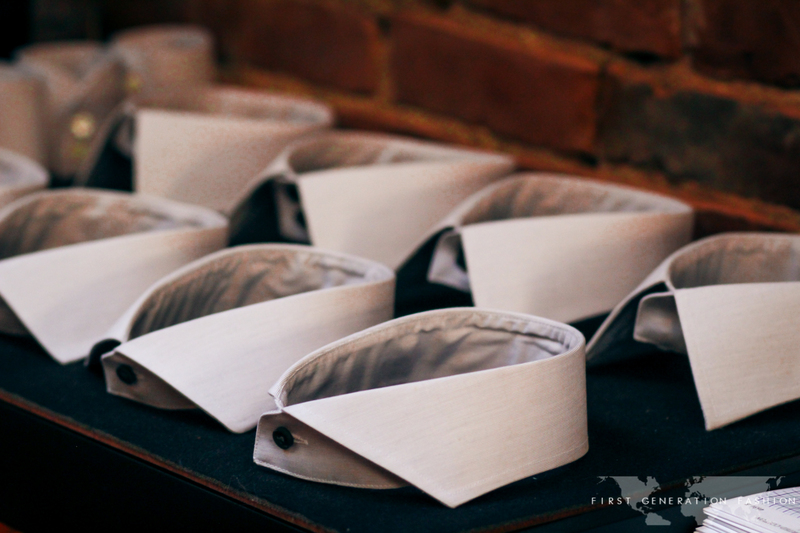 Our roots are from classic tailoring, but there’s nothing classic about our clothing. 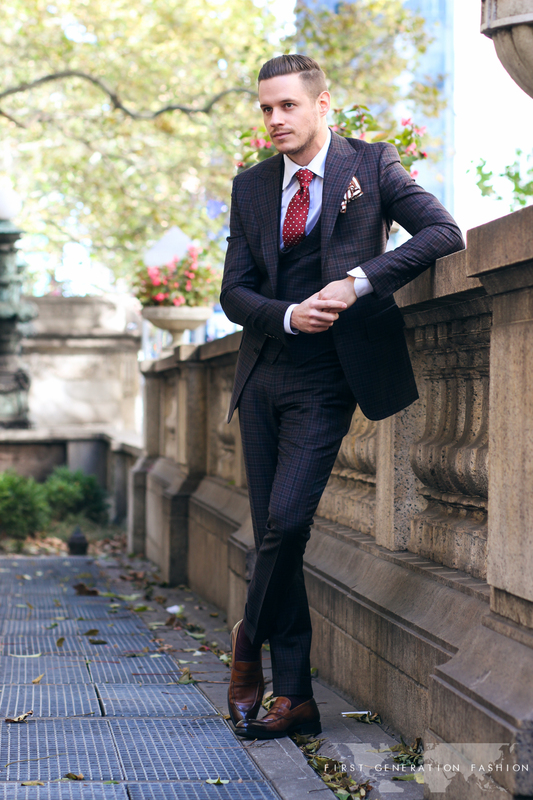 We are guys that wear suits. Our style is like matrix classic, we are neoclassical; we wear it our own way. 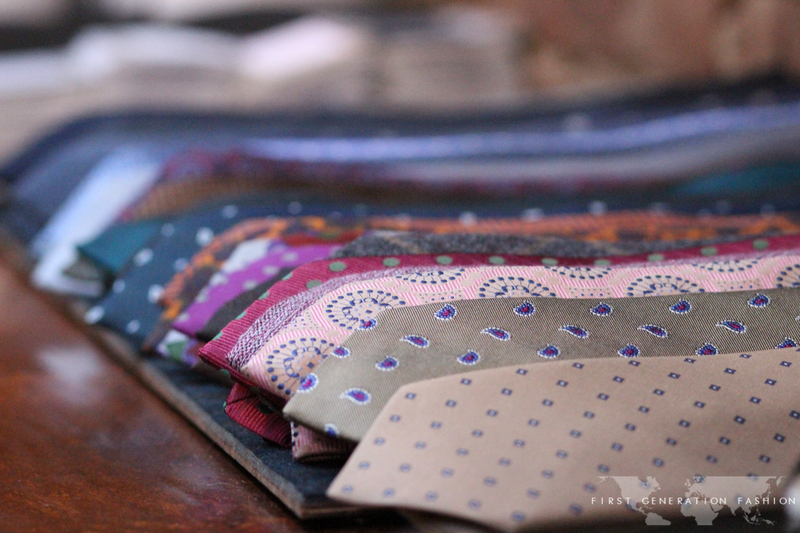 We are aggressive with our fit, way of measuring, patterns and textures, and we’re in the luxury market. Musika Frère uses super luxurious fabrics and we scale the world to find our stuff. We go to the best places for cashmeres, silks, and other materials and use famous mills. 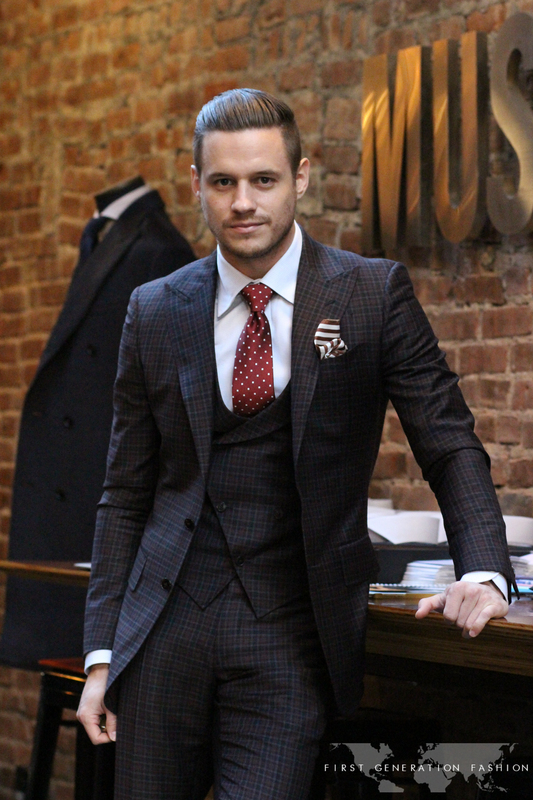 How does someone go about getting a Musika Frere suit? 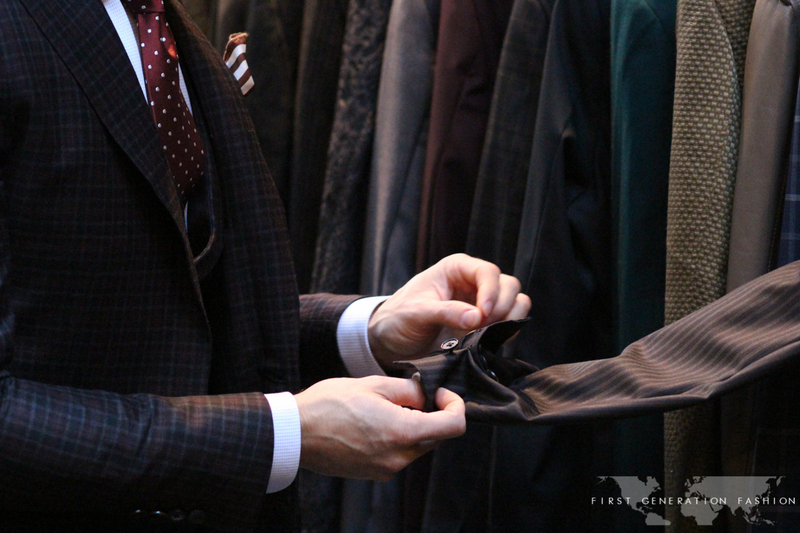 The best way is to come to our NYC based showroom to get the full experience. In our showroom you get to see the thousands of fabrics that we offer as welll as many of the goods we have on display. We often travel to clients who don’t live in NYC. We have traveled as far as Dubai for clients, and when we travel the client will cover our travel expenses. Currently clients purchase from all over the world by sending in their measurements and garments requests. Soon our e-commerce site will be up and running where clients can purchase anything from a pocket square to a made to order suit. Visit our website www.musikafrere.com or our company Instagram @musikafrere. You can also visit my instagram @aleksMusika and my business partners instagram @davidson_frere.